← Welcome To the World, Liam! Christmas Festivities And Deer Hunting? 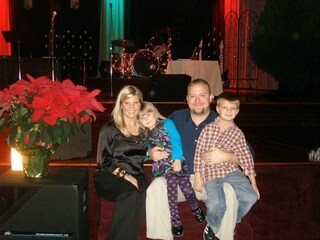 We had a little a family picture made after the service. Then, Kris made good on his promise to Anna to take her deer hunting for the first time. They returned home with great father-daughter memories. And, I was really okay with that. Now if you are married to Delbert, and watch those huntin shows like I have to, well you would knowwwww that Kris has that whisper voice down and video down pretty good….lol….I cracked up!!!! Love it. Cute video of that angel.